Wine and spirits producer Distell has launched a stand-alone company specifically focused on the premium and super-premium wine category, adding some significant corporate muscle behind SA’s efforts to raise its global wine profile. The new company, Libertas Vineyards and Estates, will remain wholly owned by Distell and be the custodian of the company’s premium wine brands, including Allesverloren, Nederburg, Plaisir de Merle and Zonnebloem. The move is just a step in a journey that began in 2017 when, to shock and horror, Distell culled its portfolio of wine brands, selling venerable names like Le Bonheur and Uitkyk and exiting complicated partnerships. Historically Distell has managed its premium wines as a division within the company, alongside ciders, ready-to-drinks and mainstream wines. “There is recognition that the category is challenging and inherently complex and requires a specialist focus, different culture and entrepreneurial approach,” says Kay Nash, MD of the new business (left). Distell has established Libertas as a separate commercial and legal entity with the iconic Oude Libertas site designated the new home of premium wine in Stellenbosch. “We have started the premiumisation journey at all levels in the business from fine wine skills to brands and brand experiences, portfolio structures, ways of working and new collaborations, and global routes to market,” says Nash. She believes the move out of Distell, and the formation of an independent board of directors comprising industry leaders, will support real focus on the premium and fine wine category while benefiting from the scale that Distell brings in critical parts of the value chain. 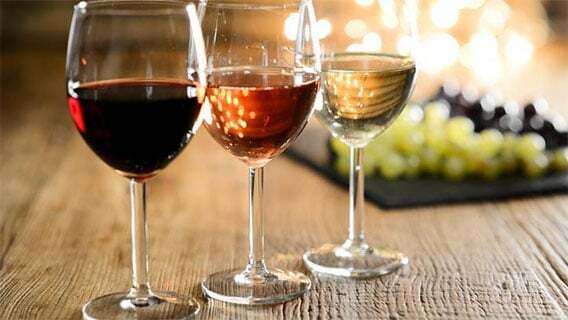 Distell’s premium wine brands grew by 11.6% in 2018. In the latest annual report CEO Richard Rushton noted that this “affirms our renewed focus on this segment”. Wine (premium and mainstream combined) contributed 28% of group revenue in the last financial year. “Premium wines turned over about R1-billion last year. In the context of group revenues of R24-billion, we are a drop in the ocean,” says Nash. “This is a good move,” says Chris Logan of Opportune Investments, who has long called for Distell to bring a commercial focus to its premium wine business. He cites the example of Australian firm Treasury Wine Estates, run by SA-born Michael Clarke, who turned the company into one of the world’s biggest and most profitable wine businesses in just four years. “Of course Treasury has the benefit of strong government support and duty-free access to the Chinese market, which Distell does not necessarily have. But a narrow focus on premium wines is an important starting point,” he says. While Distell’s Rushton noted in the last annual report that the company aimed to triple Distell’s premium wine volumes within the next decade, Nash is loathe to discuss specific targets, saying that actions speak louder than words. With an entrepreneurial and marketing background, Nash joined Distell a year ago to spearhead the change. She has extensive local and international experience in business and marketing strategy. The company will tackle the task in phases. The first priority in the short-term, Nash says, is to critically review the large portfolio. In addition, the company has started to consolidate the secondary production from four sites to a single site at Nederburg to ensure a more efficient supply chain. Other plans include redefining the Nederburg Auction as platform from which to showcase South Africa’s important fine and rare wine wines locally and globally.